When children are involved in a divorce matter, one must proceed cautiously, so as not to cause additional harm to the children. Many times, children need significant reassurances from both parents to see them through the divorce process. Divorce will change the amount of time that you are able to see your children and the way that you relate to them. Knowing how to minimize the affect of divorce on your children will put you in position to make sure they make it through your divorce stronger and healthier than before. Divorce will change the amount of time that you are able to see your children and the way that you relate to them. Divorce will significantly alter your role as a parent. As your involvement in your child’s life changes, you will some difficult times. Learning the appropriate way to parent through divorce will allow you to remain a good and strong influence in your child’s life. Things won’t be the same as before, but with some adjustments, your relationship with your children can stay healthy. Single Parents Raise Good Kids, Too! Child custody matters will be a significant part of the divorce process. They are often one of the biggest sticking points. Educating yourself on child custody and visitation rights will help you protect your rights as a parent. There are a number of steps to determining custody and visitation, so do not expect that this process will happen quickly. With a number of evaluations to be performed and decisions to be made, you will need to arm yourself with knowledge to protect your parental rights. How Will the Court Decide My Child Custody Case? How Can I Prepare Myself for a Custody Battle? 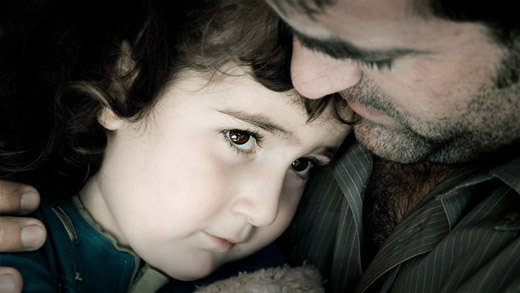 In many divorces, child custody will be determined through mediation. With mediation, most parties are able to amicably resolve their differences and minimize the affect of the custody battle on the child. Child Custody Mediation is a long and complex process that contains of number of steps. Knowing how child custody mediation will proceed allows you to be prepared throughout the process.